Enjoy mouth-watering beef burgers, refreshing brews, and traditional milkshakes in our authentic rock and roll diner. We grind 3 cuts of BC Certified Organic beef: Brisket for flavour, Short Rib for its rich marbling and Chuck - ’cause he’s a nice guy. Hand-ground in-house daily then cooked to burger perfection! Open 7 days a week to serve you the tastiest burgers on The Drive. Try one of our House Specialty Burgers, or, if you're feeling creative, you can build your own! Our beverage selection includes 12 fresh draughts, 7 imported brews, wine, and cocktails that are sure to please. 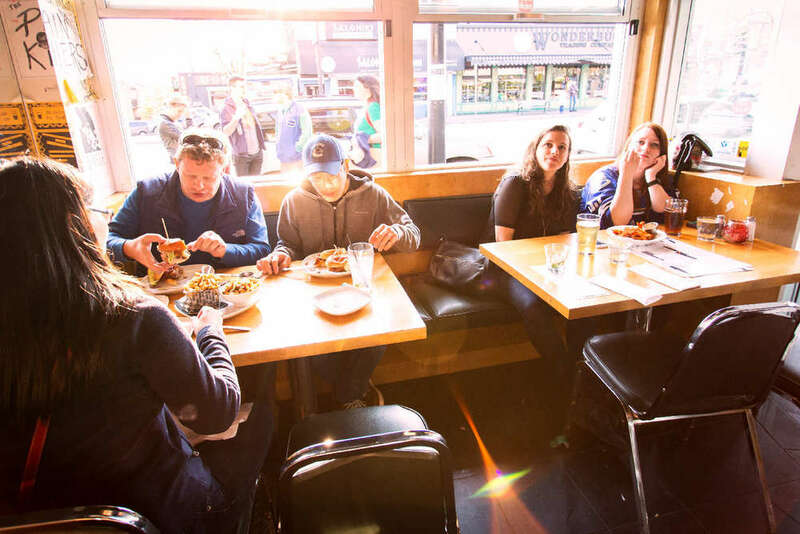 We are the perfect place to enjoy a pint on Commercial Drive. There's enough space for everyone here. Grab a seat at the bar, a booth for two or four, or seat the whole crew at the long table. Our Refreshing beverage selection includes 12 Fresh Draught & 7 Import Beers, Cocktails & Wine. BOOM. We create burger brilliance by combining our flavour expertise with our no-holds-barred attitude. The result is unbelievably mouthwatering. You can't look away. Killing it. Every. Single. Month. Behold the Burgers of the Month! March Burger of the Month - Bat Out of Hell! A post-apocalyptic burger of epic proportions! Check out our Burger Of The Month: Pork Fiction! This is our first customer suggested feature burger! Come on down and out your suggestion in! You could win a free burger & TShirt too! Have you checked out our feature this month? PORKY'S REVENGE: our 3ox patty, slow roasted braised pulled pork, house made slaw & chipotle aioli. COME N GETIT!!! No, we don't serve human flesh. 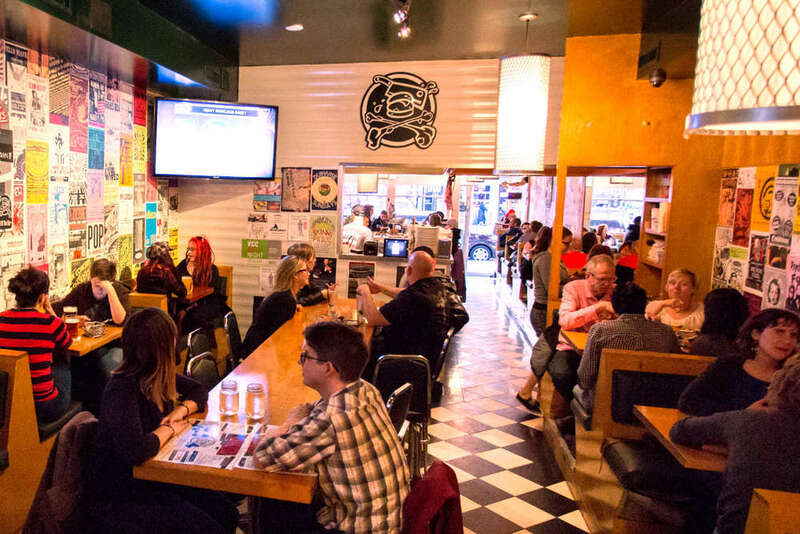 Our name comes from a song by Vancouver's punk rock legends SNFU! Where you can be the special of the day?